The Minister for Local Government, Housing, Infrastructure and Transport Parveen Kumar Bala will officiate at the ground breaking ceremony of Davuilevu Housing Subdivision this Thursday. (07/12/2017). This is one of the many projects the Housing Authority of Fiji is currently working on. Housing Authority Chief Executive Officer Dr Punit Sethi said developing residential lots in Davuilevu is another major project to expand access to affordable housing for low and middle income earning families in Fiji. 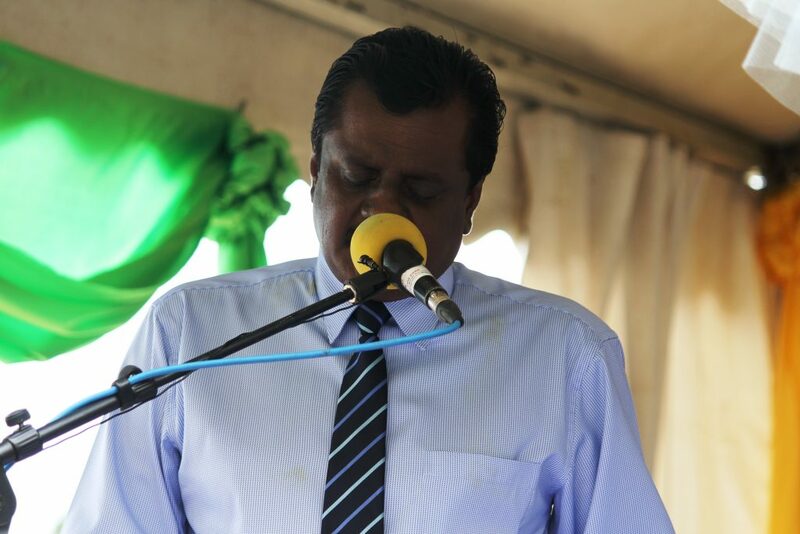 Minister Bala recently officiated at the ground breaking ceremony of Tavakubu Housing subdivision in Lautoka, where upon completion, 534 residential lots will be available for purchase. A large number of residents in Tavakubu were overwhelmed by this initiative and showed their gratitude and appreciation towards the efforts of the government. Dr Sethi said this is the first time in the history of the Housing Authority that so many projects are carried out concurrently. He has reassured that the Housing Authority will continue working towards the efforts of the Government, to provide access to affordable housing for low and middle income families and meeting housing demands in Fiji. The ground breaking ceremony of Davuilevu Housing Subdivision will take place at 2pm this Thursday.